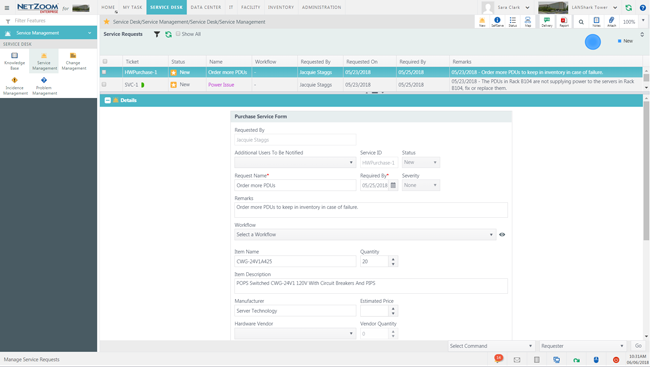 Out-of-the-box NetZoom™ seamlessly integrates with popular ITSM/CMDB applications like ServiceNow and REMEDY for both bidirectional data and incident sync. 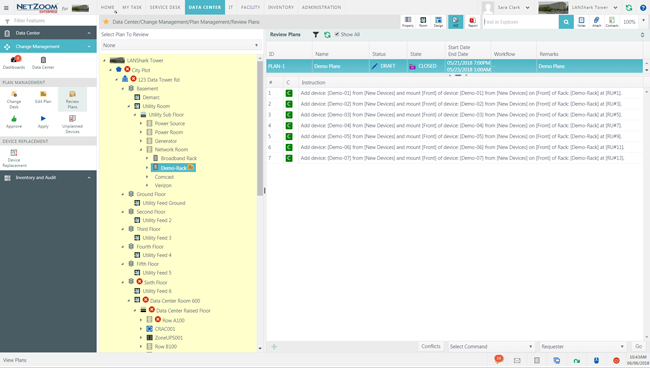 At the core of the Service Management module is a straightforward Workflow Management system for designing, delivering, operating, controlling and automating structured processes and supporting procedures in a Data Center such as: Service Desk, Incidents, Knowledgebase, Problems, Change Management, Document Management and Configuration Management. The Workflow Designer tool is an integral part of NetZoom. 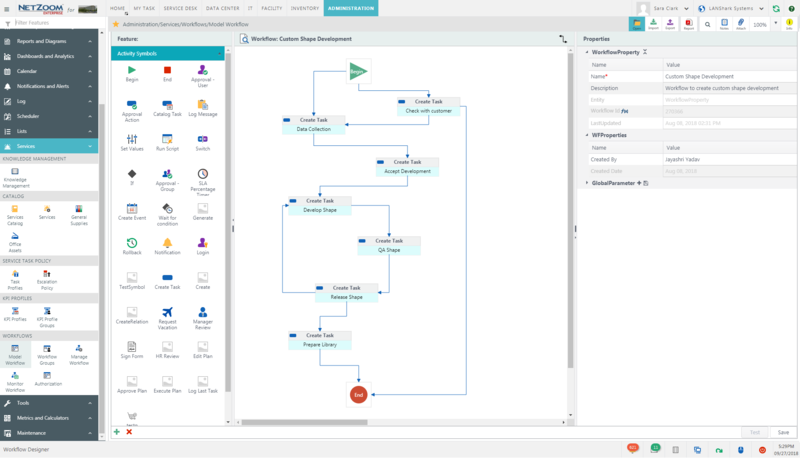 The Workflow Designer helps users design new Service Workflows, customize workflows, create new tasks, authorize tasks and define the escalation policy to meet goals defined by the SLA requirement. The Workflow Engine is at the heart of the Workflow Management System. It is responsible for managing, executing, controlling, and delivering notifications for a workflow. 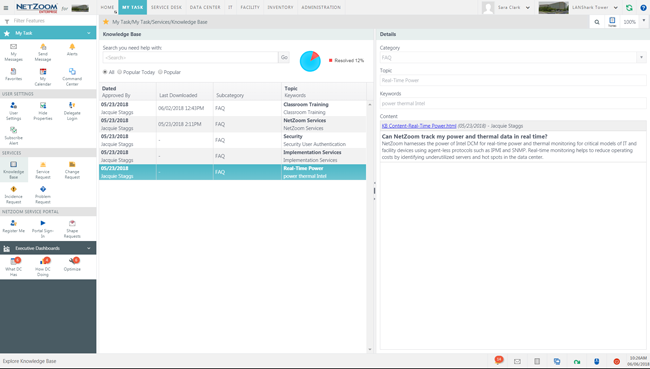 The workflow owner can monitor the progress of a running workflow and the related tasks. The Knowledgebase enables delivering Services immediately and on demand. The Knowledgebase is expected to reduce the number of tickets by enabling Self-Service thru a search by keyword and review process. 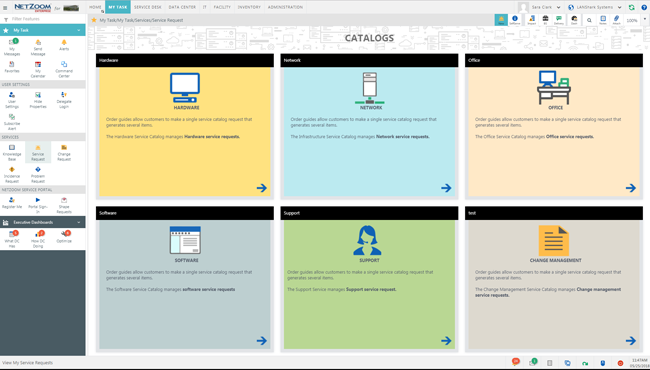 NetZoom helps create, curate, share, utilize and manage a centralized library of knowledge articles, recommended solutions, FAQs, troubleshooting guides, configuration notes, user manuals and other important information. The Knowledgebase is presented with intuitive navigation and analytics to keep contents relevant. 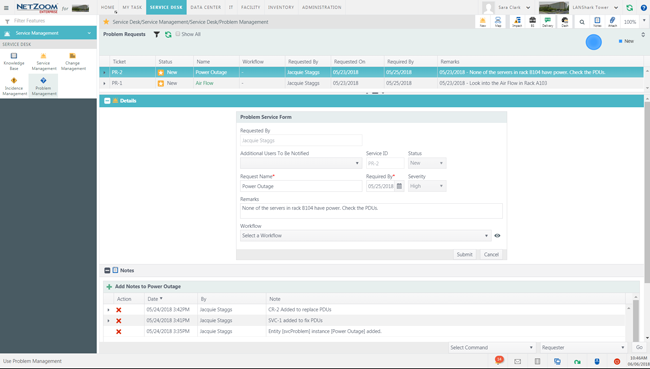 Service Catalog Management is at the core of IT service delivery. It offers a centralized list of services available in a clearly identifiable Service Catalog. New Services can be created by clearly describing key service information such as: Name of the Service, Description of Service, Service Category (i.e. Infrastructure, Software, Hardware or Support), who can request the service, who will deliver the service, cost of service, and delivery details while performing the Service according to the assigned Workflow. An Incident in a Data Center is an event leading to unplanned disruption or degradation of service. An incident requires immediate attention to resolve the service event. 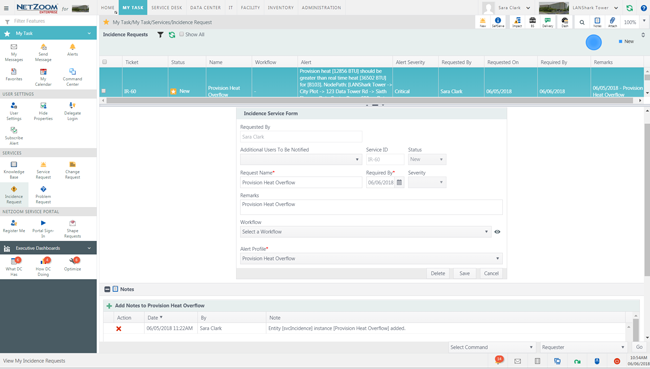 NetZoom automatically generates tickets to track and follow an Incident workflow, notify all stakeholders, assign events by classification, manage ticket resolution and auto route tickets using escalation criteria, while adhering to SLA requirements. Problems are not Incidents but one or more Incidents can identify a Problem, or root cause issue. Identifying and solving the Problem may reduce Incidents in the future. Similar Incidents can be combined into one Problem to reduce workload and increase productivity. NetZoom helps link Incidents with a Problem. Upon resolution of the Problem, all linked Incidents will be resolved. Changes in Data Center infrastructure are planned and executed using a well-defined workflow that requires a review and approval process. Since changes may involve different devices or tasks, there can be different workflows and KPIs deployed for individual change management scenarios. NetZoom creates plans and manages Moves, Adds and Changes in Data Center by employing change workflows and enabling impact analysis. 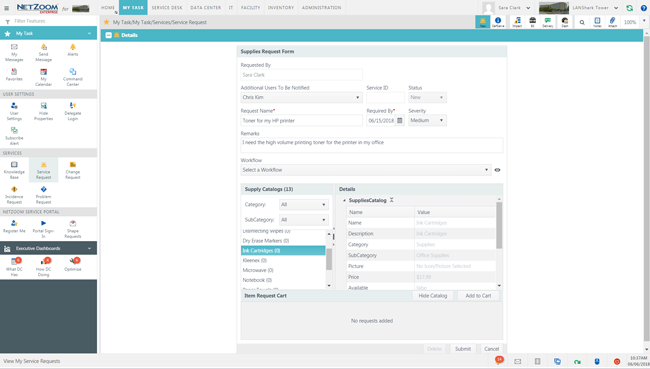 NetZoom efficiently tracks and manages supply requests, manages returns, receives new stock, manages Vendors and products along with maintaining the pricing and inventory of the Office Supplies.